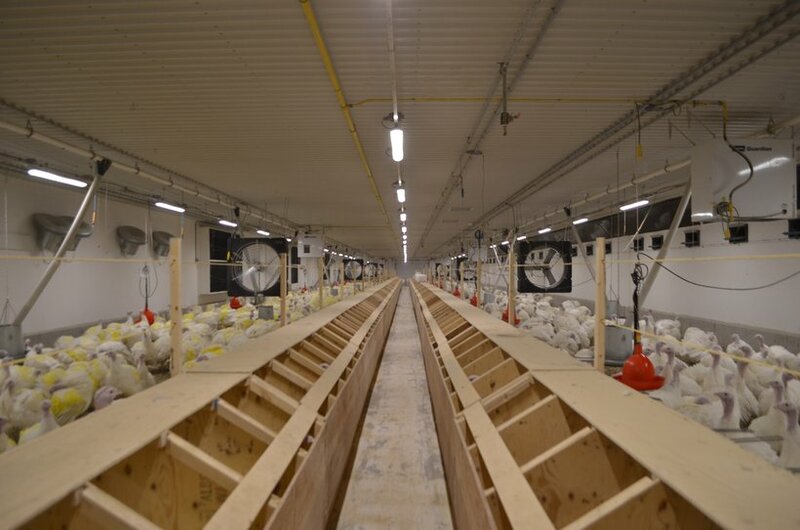 A recent posting on LED lighting for commercial barns sparked a lot of interest so we have put together some recommendations to consider if switching to LED lights in a breeder facility. Before you make the switch it is important to buy the correct type of light and to ensure your existing system is properly set up to support LED lighting. Without proper research and set up, poor lighting can result and your birds may be negatively affected. Note: A glossary of technical terms is available at the end of the article. Turkeys receive the light in their environment in a specific way that depends on the physiological processes of the bird’s body. It is important for calm behaviour and overall performance that the lighting is set up and scheduled correctly. 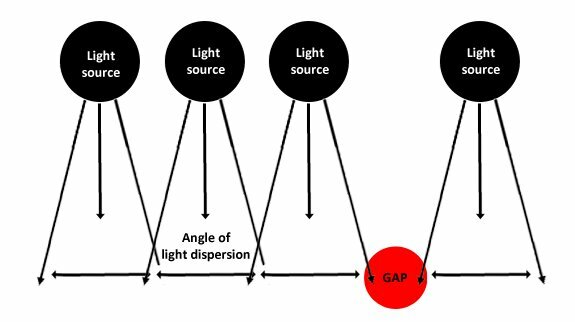 Proper lighting intensity will ensure birds are active and seek out food and water. Many producers are now switching to LED lights in order to save on electrical costs, however it is crucial that the lighting is uniform throughout the barn to ensure optimal performance. It is important to buy from a respectable dealer since there are many different types of LED lamps being produced. Dimmable: Range of 0.2% through 100%. IP grade: 65 or higher. This means that the light is dust tight with no ingress of dust and is protected against water jets from any angle. Note: If the IP grade is too low, especially the second number, the lights could be damaged during washing and disinfection of the barn. Color temperature: Both male and female breeders should have 2 700 – 3 300 Kelvins. 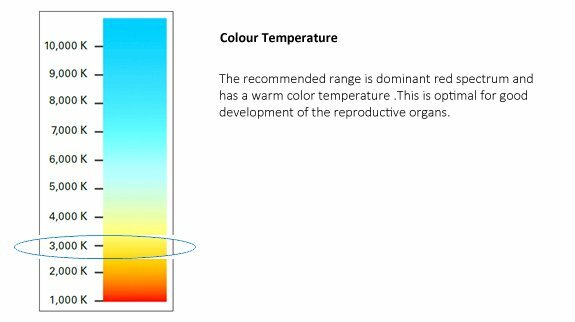 This color temperature is optimal for good development of the reproductive organs. Light intensity must be uniform throughout the barn. The key to success with lighting is uniformity. Once lights are installed you can use your cell phone and record in slow motion to test the flicker rate in your lights. The goal is not to see any flickering or ensure a low flicker frequency. If you have any questions or concerns about the lights in your facilities, contact a Hybrid representative or consult with a licensed electrician. Whether using LED, fluorescent or incandescent lights, it is important to follow a lighting schedule that allows for periods of both light and darkness. For more information on lighting schedules for turkey breeders visit www.resources.hybridturkeys.com . LED: Light Emitting Diode. LED bulbs use a semiconductor device that emits visible light when an electric current passes through it. IP grade: Ingress Protection grade. This is a measurement of the level of protection of an item against solid objects, such as dust and dirt, and liquids. It is always a two digit number. The first number is a score for protection against solids and is based on a scale of 0-6. The second is the level of protection against liquids and moisture and is scored on a scale of 0-8. Foot Candle: unit of imperial measurement used to describe the intensity of a light. LUX: unit of metric measurement used to describe the intensity of a light.